Hold My Order, Terrible Dresser: First you censor a word, then you censor the ideas. First you censor a word, then you censor the ideas. 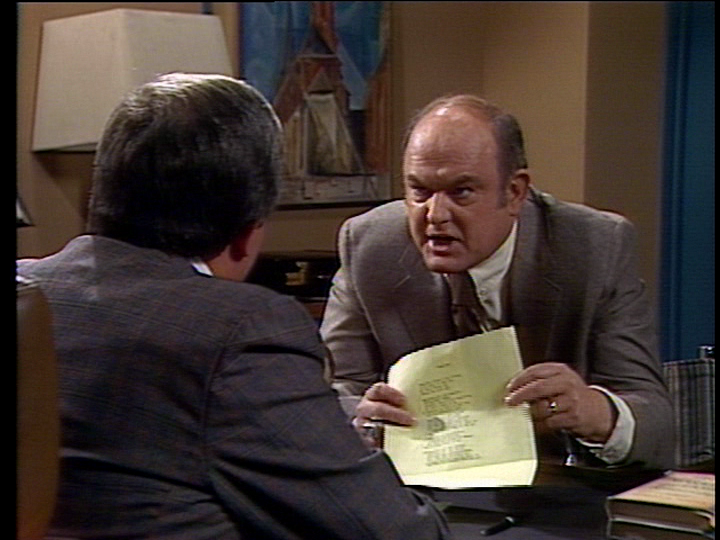 This week we're wrapping up Season 3 of WKRP In Cincinnati with "Til Debt Do Us Part" and "Clean Up Radio Everywhere." On this week's podcast discussing "Clean Up Radio Everywhere," we find a lot eerily familiar in the 1981 ascendancy of the Moral Majority under President Reagan and the first volleys of the culture war lobbed by evangelical Christians against the pop culture of the day. By the mid-'80s, that censorious tendency had spread from the right-wing fringes right into the mainstream, with the establishment of the Parents Music Resource Center by Tipper Gore and Susan Baker in 1985. The Senate hearings which resulted from the PMRC's advocacy for the record industry to put "voluntary" warning stickers on records loom large in the memory of anyone who came of age in the mid-1980s. Three artists were called before the Senate Committee on Commerce, Science, and Transportation in September of 1985: John Denver, Dee Snider of Twisted Sister, and Frank Zappa. It's Zappa's testimony that's probably best remembered three decades later, but the testimony of all three men is fascinating. Never mind the spectacle of Dee Snider in front of the Senate in full rock rebel regalia; John Denver not only tells the panel how badly he wants to get on the Space Shuttle, but Nebraska Senator J. James Exon's wife's art instructor, "Rainbow Terrain," was apparently a friend of Denver's. It was recognized at the time by Zappa and Snider that Denver's testimony was the killer, really powerful statement. Dee Snider says in the oral history linked above, "Everyone expected that he would be on the side of right—right being censorship. When he brought up, 'I liken this to the Nazi book burnings'—that's what he said in his testimony—you should've seen them start running for the hills! His testimony was the most powerful in many ways." Enjoy these artifacts from the autumn of 1985 as we get ready for our last regular episode of Season 3 of Hold My Order, Terrible Dresser!